Congress is expected to vote this week on a tax reform bill that could impact mental health. The bill includes a repeal of the Affordable Care Act’s individual mandate. This will increase the number of uninsured Americans by an estimated 13 million people. Many of those people will need access to mental health services. With fewer healthy people insured, premiums will increase making insurance less affordable for people with mental health conditions. There’s more. The Congressional Budget Office has estimated this tax bill will increase the deficit. That could increase the chance that Congress will choose to reduce this deficit by cutting other programs in 2018, such as Medicaid, the largest payor of community mental health services and supports for children and adults with mental illness. 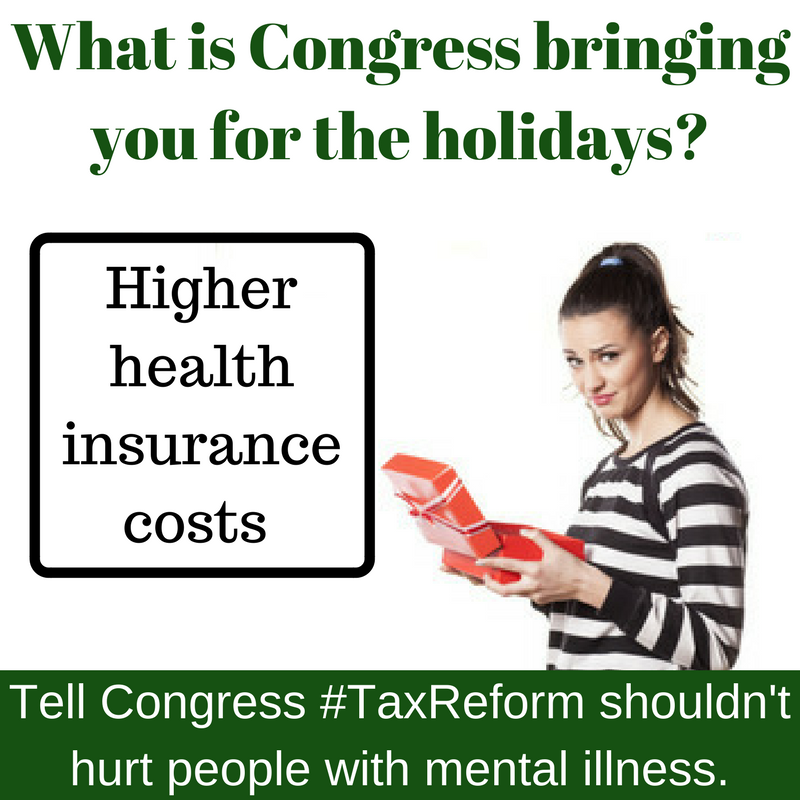 Contact Sen. Bob Casey and Sen. Pat Toomey and tell them tax reform shouldn't harm people with mental illness.